Siew-Yue Killingley was born Leong Siew-Yue in 1940 in Kuala Lumpur, Malaya (now West Malaysia), in a Cantonese-speaking family. She married in 1963, and moved to England in 1968. Her work as a teacher began in 1961, when she taught in schools while still a student at the University of Malaya. After graduating she taught English language, literature, phonetics, and linguistics at the University of Malaya, and gained an MA in linguistics. She then taught English and other subjects at St. John’s Institution, Kuala Lumpur, and La Salle School, Petaling Jaya. On coming to Newcastle in 1970, she taught linguistics and phonetics part-time in the School of English, University of Newcastle, and from 1972 to 1980 she was Lecturer, later Senior Lecturer, at St. Mary’s College, Fenham, where she taught linguistics, English language and literature, and super­vised teaching practice in schools. From 1980 she was constantly engaged in part-time teaching, including linguistics and phonetics at the Department of Speech and the School of Education in Newcastle University, and Community Interpreting and Bilingual Skills at the College of Arts and Technology (now Newcastle College). At different times from 1968 she gave individual tuition in Cantonese to children. From 1988, she taught in the Centre for Continuing Education (now the Centre for Life-long Learning) in the University of Newcastle, mainly on aspects of language and its use in society. 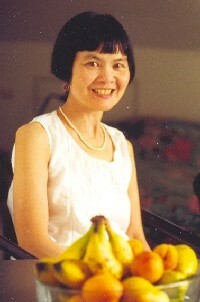 In 1994 she introduced courses on Chinese language and culture at the Centre. In 2002, these courses became part of the programme of the Workers’ Educational Association. Siew-Yue did not just teach her students; she worked with them, using whatever mental equipment they brought to the class. They were impressed by her devotion to the subjects she taught, and to the high scholarly standards she set herself and them. They recognised her deep learning in many fields, and her willingness to share it with others. They were also aware that she was always interested in them as individuals, responding to the personal and academic needs of each of them. Besides teaching, Siew-Yue was active in creative and performing arts. She wrote poetry and plays, drew competently, and played the flute to a high standard. In her school years she studied ballet, and she continued to take an active interest in dance, including choreography. She also carried out linguistic and literary research on English and Chinese. In 1981 she founded the non-commercial publishing business Grevatt & Grevatt, named in memory of her father-in-law Arthur Victor Grevatt Killingley (1897-1979), publishing academic work and poetry by herself and others. Since her death the business has been carried on by Dermot Killingley. Siew-Yue’s Northumbrian Passion Play (Grevatt & Grevatt, Newcastle upon Tyne, 1999) was performed at All Saints’ Church, Gosforth in 1999, the Church of St. Thomas the Martyr, Newcastle, in 2001, and St. George’s Church, Morpeth in 2002. Her dramatization of John Bunyan’s Pilgrim’s Progress was performed at the Church of St. Thomas the Martyr in 2002. The last three productions were by St. Tom’s Players, for which she worked as literary adviser, choreographer and flautist.